May the depictions of Mother Mary breastfeeding the infant Jesus in early Christian art uplift us in our nursing journey this Christmas. Christmas has taken on a deeper reality for me after having children. In celebrating Jesus’s birth, we are struck by His Humanity: this swaddled infant, born in the humblest of places, must have fed at the breasts of His Mother, Mary! Yet I had never thought of Mary and Jesus as a breastfeeding dyad until I encountered this in religious art. As a new breastfeeding parent then, I felt comforted and affirmed by images of Mary nursing as it provided me with a relatable icon from antiquity and reminded me of the intentional, life-giving design of the female body. Among various depictions of Mary throughout history, the motif of Maria lactans [i] (Latin for “Mary nursing”) featured prominently in the Middle Ages until the Renaissance (Gibson, 2012). Maria lact was first seen to mature in the East among the Coptic Christians while the Byzantines called their interpretation, Theotokos galaktotrophousa (Greek for “God-Bearer Milk-Giver”) (Miesel, 2009). In Russia, such iconography is called Mlekopitatelnitsa (“Milk-Feeding”), with Mary’s breast oddly depicted near her shoulder to avoid any trace of sensuality (David, 2016). 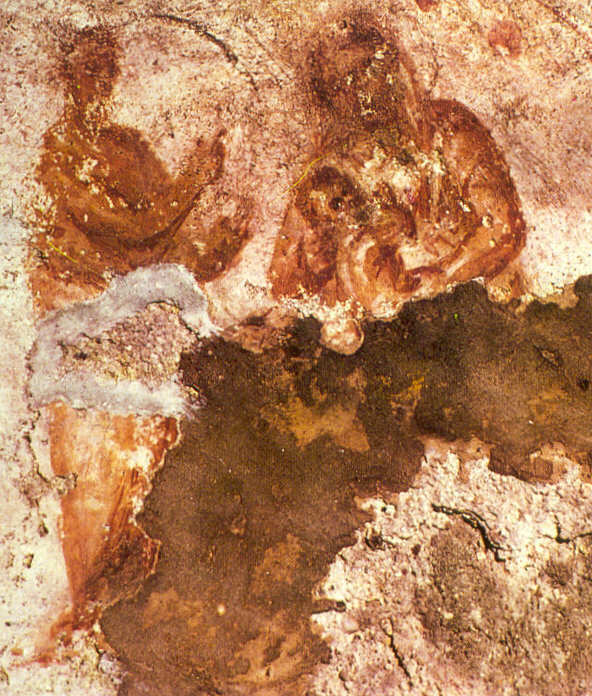 Figure 1: The oldest known image of Mary is a third-century fresco in the Priscilla catacombs in Rome (The Vatican, n.d.) showing her cradling the infant Jesus. Figure 2: Among the Copts (native, non-Greek Christians of Egypt) were several early depictions of Maria lactans. Seen today in the Coptic Museum in Cairo alongside other Egyptian goddesses giving breast: Isis to her son, Horus, and Renenutet to Neper (ca 7 Century). As the West adopted the Byzantine icons, European artists sculpted three-dimensional figurines and Renaissance masters including Leonardo Da Vinci, Michelangelo and Rembrandt perfected paintings of Maria lactans up until the 18th century. Spanish missionaries brought their devotion to Nuestra Señora de La Leche y Buen Parto (Our Lady of the Milk and Happy Delivery) to the United States around the 1600s. It was once thought that “the virgin’s nursing breast, the lactating virgin, was the primary symbol of God’s love for humanity” (Miles & Lyon, 2008). Figure 4: Litta Madonna (Madonna and Child), ca. 1490s is traditionally attributed to Leonardo Da Vinci (1452-1519) but some contend it was partially assisted by Giovanni Antonio Boltraffio (1466-1516). Figure 5: Madonna delle Grazie, Filotesi dell Amatrice, 1508, shows Mary extinguishing purgatorial fires with breastmilk. Figure 6: St. Bernard and The Virgin, Alonso Cano, c. A.D. 1650. 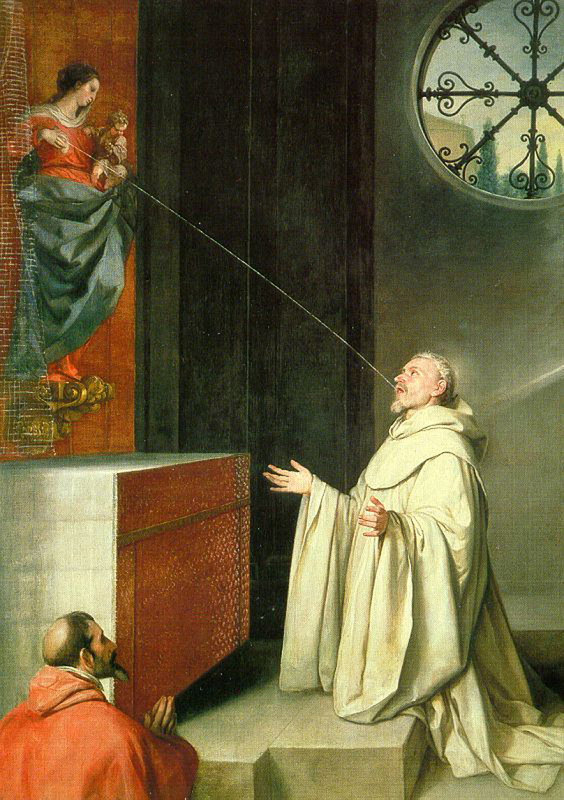 This is one of several paintings featuring “The Miraculous Lactation of St. Bernard”. Legend goes that Bernard prayed before a statue of the Madonna, asking her, “Monstra te esse Matrem” (“Show yourself a mother”). The statue came to life and squirted breastmilk from the breast onto his lips. 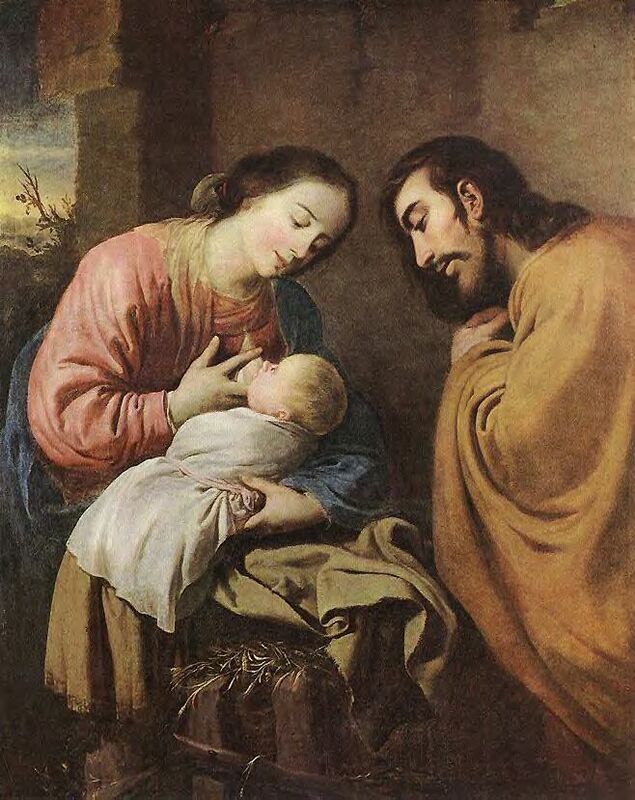 Figure 7: Rest on the Flight to Egypt. Francisco de Zurbaran, ca 1659. Pope Francis invoked this ancient devotion earlier this year when he welcomed mothers at his sermon to feed their babies “just as Mary breastfed Jesus[ii]” (Vatican Radio, 2017), reiterating his encouragement for breastfeeding mothers time and again. Today, there is a resurgence in this devotion among mothers, breastfeeding advocates and pro-life[iii]. In Singapore, the Catholic Mount Alvernia Hospital features a sculpture of Mary breastfeeding. Figure 8: A close-up of the statue of Our Lady on the exterior of the catholic Mount Alvernia Hospital in Singapore. When you go into Church this season, I hope the image of Maria lactans stays positively with you and encourage you to feed your children in Church without fear. Merry Christmas! Miles, M., & Lyon, V. (2008). A Complex Delight: The Secularization of the Breast, 1350-1750. Berkeley: University of California Press. Vatican Radio. (2017, January 8). Pope Francis baptises 28 in the Sistine Chapel. Vatican.